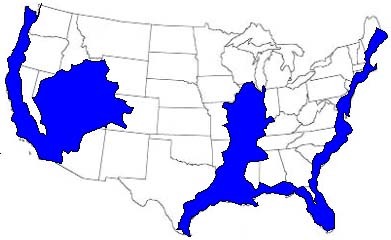 US Navy’s Earth Changes Flood Map of America, Comparative Earth Changes Maps, New Madrid Earthquake Zone NLE 2011: What Does the Navy Know? In early January, right after the first of the year, during the “dead birds and dead fish events” I began to get a very strong intuitive and clairvoyant feeling that something was up with the New Madrid earthquake fault. Apparently it wasn’t just me. 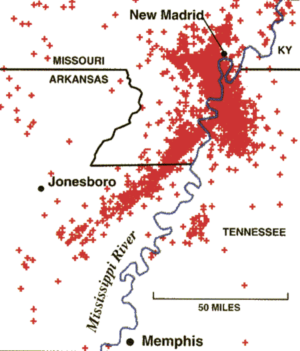 Dozens of other truth researchers were getting the same intuitive “hit” regarding odd activity around and in the New Madrid earthquake fault. In the midst of all this, the truth began to emerge about the murder of American patriot John P. Wheeler. I now wonder what else Mr. Wheeler was trying to tell the American people when he was found murdered, dumped in a landfill. There seems to be a bigger story emerging. This might also explain the rather frenetic activity at the underground Iron Mountain storage facility in east Pennsylvania to bury the nation’s vital records and historical documents underground. Wheeler was apparently trying to blow the whistle on something when he was killed. Will the next New Madrid earthquake be an induced national catastrophe, a massive false flag event? NLE 2011 preparations proceed at a brisk pace. 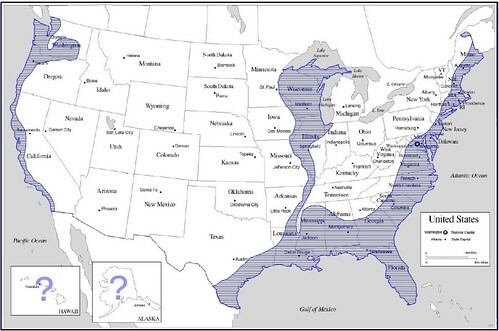 The extended affect region of the New Madrid Fault zone is enormous, covering nearly 1/3rd of the continental USA landmass. These graphics show possible affects in surrounding regions if a 6.8 to 7.5 level earthquake should strike the region. 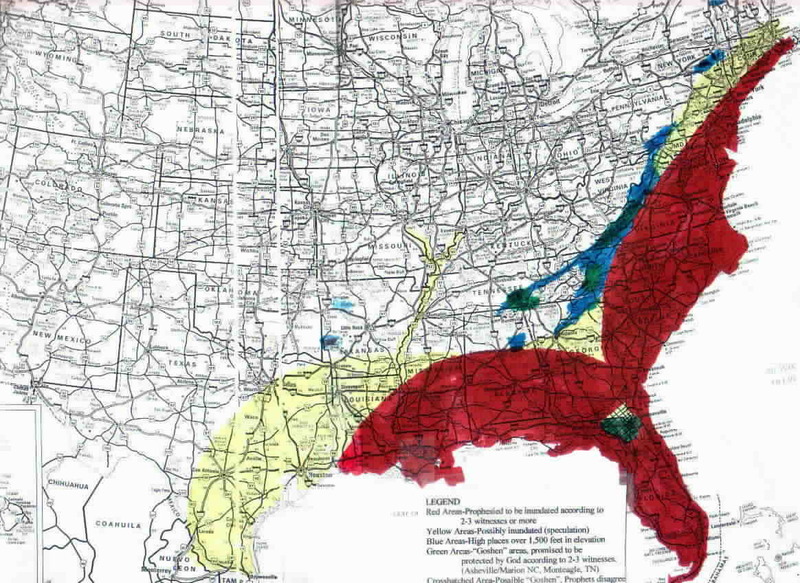 A Google search of “NLE 2011” reveals a plethora of official FEMA reports about their preparations and analysis of the likliehood of an imminent quake in the New Madrid fault. I just located this latest citizen journalist video, [ see below ] I have decided to post it. The video is about 29 minutes in length. Watch the whole thing then share it. You can make up your own mind on this. The map is remarkably similar to at least 10 other “Earth changes flood maps” I have seen online for the USA in the past ten years. FEMA is conducting an NLE, National Level Exercise 2011, a series of drills and events and their published data strongly suggests they are anticipating an earthquake, or possibly a series of quakes, in the central USA New Madrid Earthquake zone. 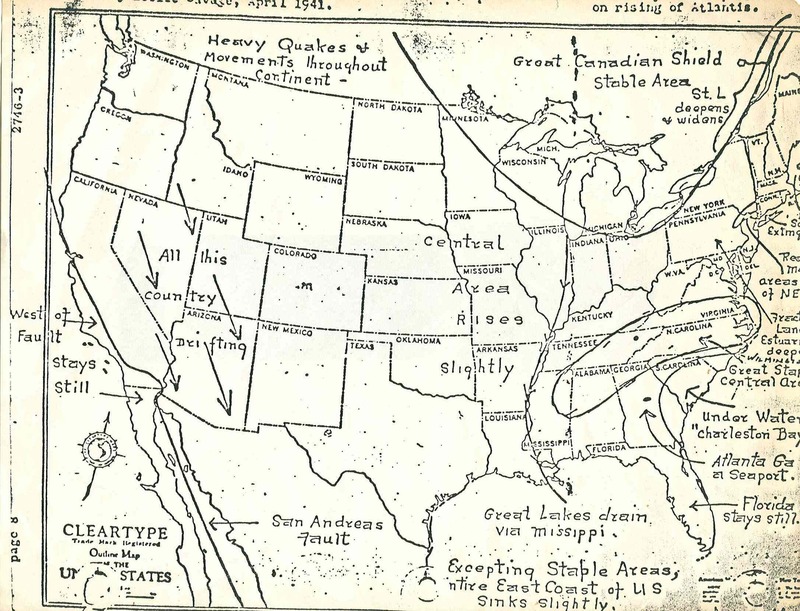 If you live in the identified region for the New Madrid earthquake zone, you should take emergency preparedness precautions, have several escape routes planned and supplies, food and water ready in the event of a natural or man made HAARP event disaster.